thought you were staying in your Dads new tent !? red_dwarfers wrote: I know of a few people staying there, including me! I never liked that idea! The tent we got is massive, weighs a ton and will take the week to put up and then another to take it down again. I said at the time its far too big but does anyone listen to me?! If its wet for the week nothing will dry out in a tent, and im not really a huge fan of camping. I was going to drive there each day, as its only over an hour away, but staying closer will be easier and allow us to be there earlier/later. Plan is to go down Monday, drop off one of the cars and return Tuesday with the other car and the 2cv, which will be our runaround, and stay the rest of the week. The interesting bit which needs thinking is getting all three cars back on the Sunday evening, with two drivers. What did I say in my previous post? Please don't speculate, just ask. Organisers of the Great Yorkshire Show have decided that the show will close at the end of today, and there will be no show tomorrow or Thursday. This is the 154th Great Yorkshire Show and it was hoped that more than 130,000 visitors would attend, but unprecedented amounts of rain have made that impossible. Extensive preparations were made to combat the wet weather, including installing new roads and new drainage systems. “We have had more rain in the last month than ever before. Our showground is robust and has held up well, but if we cannot park cars safely then to cancel is a most difficult decision, but it is the right one,” said Mr Cowling. .......and of the 154 events only 3 have been cancelled. So that's War and pestilence. So unless WW3 kicks off between now and 9th August or we have an influx of locusts, don't even give a thought to the ICCCR being cancelled. (NOTE: Rumour of Lancashire farmers breeding genetically modified metal eating super-locusts as featured on page 3 of last weekend's "News of the World" should be treated with an appropriate "pinch of salt"). I was there on Tuesday with Nigel (Mr Chairman), Andy (Mr Beer Festival), Chris (Mr Entertainment) and Hilly (Ms Food) and everything was managing well with the damp conditions. The Park and Ride scheme using the car park 2 miles away at Plumpton Rocks was full by 11:00am (see: http://goo.gl/maps/CnUI). Whilst many had heeded the request of the organisers to use public transport, others had found it too hard to leave their car at home and take the train/bus. At 15:00 there was, what can only be described as, a "Cloudburst" and for 45 minutes the rain fell like the proverbial "stair rods". This heavy rain, falling on saturated ground, had no where to go and as people emerged from their shelters the foot-fall started to get the mud oozing on the pathways between the stands on the inner site (area marked in red on the map here: http://tinyurl.com/8yx6j3s). Nigel & I visited the site yesterday and spent the whole afternoon touring round with the site owners to see every corner of the 250 Acres. I was amazed to see that what had been the "ploughed battlefield" shown earlier in this thread had gone and were replaced by smooth flat areas of "graded" earth. The next job that the GYS will perform is to roll and seed them. The GYS are holding a meeting on Monday 16th July to agree the works that need to be carried out to recover the damage and to reduce the impact of sodden ground suffering from the impact of vehicles and heavy rain. There are parts of what we had designated the Camping area that will not be fully recovered by the 9th August, these will be fenced off to give the remediation that GYS will perform to have a chance. Some of their work will be over a period of up to 1 year, and the arrival of the 2013 GYS. The good news is that there are large areas of the site that will be fully recovered for 9th August - at a guess 80 - 85%, so that still gives us 200 Acres to "play with". It should also be borne in mind that as of today (14-JUL-12) we have 1,597 vehicles and 3,236 participants booked. We anticipate that the figures will be around 2,500 vehicles visiting us over the 4 days and 5,000 participants. Compare that the the 30,000+ per day visitors at the GYS , 10,000 animals and total attendance over the 3 days of 100,000+ visitors. We, the organisers of the 15th ICCCR, have full confidence that the site can support all of our demands. If it does rain (No, we are not taking bats), there are extensive open buildings (See: Aulnay1 & Aulnay 2 on the map http://tinyurl.com/8yx6j3s) which would hold the whole of the outdoor trade stands + More). In addition, we have put together contingency plans covering various scenarios which could go as far as re-locating all camping to within the internal site, and still have lots of space to display vehicles in an orderly manner. This week we have held a series of conference calls between the Directors of ICCCR(2012) Ltd and the key volunteers with responsibility for the different aspects of the event. I can assure you that everything is "Green" and "Good to Go". 1. Read the FAQ's, here: http://icccr2012.org.uk/new/en/faq.shtml where you will probably find the answer to your question. 2. Realise that it takes time to answer, and my time is limited, so decide if your question will be asked by everyone, a handful of people or just you... and help me to manage my time by not wasting it. 3. it took 2.5 hours (and 3 Mugs of Tea) to produce this response, which will (hopefully) attempt to go some way to address any/all concerns that the impact of what happened on Tuesday 10th July with the GYS has only a minimal impact on what we are doing. 4. Remember that our event will be that largest event (after the GYS) to use the whole site. The site owners will be doing everything they can to ensure that we have a 1st class event at a 1st class site! Cancellation is not a word that is in my vocabulary! My Pint is half full and filling, don't let yours be half empty and draining (BTW Did I mention that we are having a beer festival on site.....). PS We have simplified the entry/registration process and WILL NOT BE SENDING TICKETS - See next POST "Where's My F*****g Ticket?" PPS We have on-site accommodation available at £25 per person per night (Single rooms only) - See next but one post "Special ICCCR limited offer: £25 to Listen to Mick Snorrrring"! We have simplified the arrival/registration process and have done away with the need to send out tickets. Instead you are required to bring your Booking Reference Number, which was quoted in the "Subject Line" of the email you received to confirm your booking. We are advising everyone, individually by email, or by letter of their Booking Reference Number and expect to have this completed by the 21st July, so there is no need to worry if you can't find the original email! For those of you who have pre booked, follow the signs to the "Pre-Booked" entrance and you will be greeted by one of the Welcome team. They will ask you for your Booking Reference Number and will then authenticate you to your booking (number of vehicles, drivers, passengers) and issue you with the appropriate vehicle passes and security wristbands. You will then be directed into the camping area or directly into the event. Remember that Day Tickets are available to purchase now in the ICCCR E-Store and will ensure that you do not have to queue to "pay by cash" entrance. Credit/debit cards will not be accepted as payment at the "pay by cash" entrance. (Note that there is 24Hour "No Charge" ATM at Sainsbury's at the junction of Railway Road and Wetherby Road). As arrivals are going to be busy, we would ask you to avoid arriving at the peak times (daily 10:00 - 12:00, Friday 16:00 - 20:00) to help minimise the queues. You are also encouraged to give a couple of hours or so of your time as a member of the "welcome team" to greet our visitors and give them a "right proper welcome". At the Show-ground, next to the Beer festival, there is a hostel "Forest". It has 60 single rooms which are available at £25 per person per night. It's normally used for the freight drivers who bring the animals to the GYS and has a permanent warden. Toilets and showers are included, but not en-suite and you have to bring your own towels and bedding. The bed has a mattress. There is also a kitchenette when you can make teas and coffee. There will be caterers who will be providing breakfast around the site and the food village will provide you with your evening meal, or Fodder or the "Travellers Rest". (Remember Sainsbury's is also on the site if you forget anything and they have hot & cold take away food counters). If you want a room. please email the E-Store with the number of rooms, number of nights and the start date of you first night. Payment is in advance and you can either pay the money directly to our PayPal account (PayPal@icccr2012.org.uk) or post a cheque or transfer the amount directly from your bank account to our bank account (Lloyds/TSB Sort Code 30-99-93, A/c 3368 5460 , ICCCR(2012)Ltd). Include a note to say what the payment is for. The rooms have just been released and we expect them to go quickly, so don't arrive expecting to book one on 9th August!. As before, we would encourage your help as a member of the welcoming team for a few hours to help everyone to enjoy the greatest Citroen event of the decade. The latest press communique can be found here: http://tinyurl.com/ICCCR-Press-Release. The map: [url\]http://www.icccr2012.org.uk/new/downloads/Combined 3-2andBuilding1-0.pdf[/url] shows the main exhibition site (to the North of Railway Road) and the large camping areas (to the South of Railway Road). At the junction at the east end of Railway Road and Wetherby Road (A661) there is a Sainsburys Superstore http://www.sainsburys.co.uk/sol/storelo ... re_details" onclick="window.open(this.href);return false; with fuel. Morrisons http://www.morrisons.co.uk/Store-finder ... ecordid=65" onclick="window.open(this.href);return false; have a large store nearby on Hookstone Chase which also has fuel. The Camping site is open from Monday 6th onwards for volunteers to assist with the set-up of the site. The site owners DO NOT PERMIT THE USE OF PORTABLE GENERATORS (Unless they are "built in" to a vehicle and non-removable). Disposable BBQ's are permitted (please use and dispose of with care). BBQ food supplies are available from http://www.fodderweb.co.uk/ which has a Butchery dept, shop, Deli and Cafe or from Sainsbury's. BONFIRES, WASHING MACHINE/TUMBLE DRYER DRUMS/SUPERMARKET TROLLEYS, 2CV's, TRACTION BOOT LIDS AND ALL OTHER "CONSTRUCTIONS" TO BE USED AS BONFIRES ARE NOT PERMITTED. in case you missed that..... NO BONFIRES ok? Wrist-bands and vehicle stickers will be required for all access to the main exhibition site from 00:01 on Thursday 9th Aug until Midnight Sunday 12th Aug. Volunteers are welcome to stay on, on the camp-site, and assist with the site breakdown on 13th & 14th Aug. The principle that we are hoping to follow is that everyone does a little bit of volunteering and then everyone is able to enjoy the event and not feel that they are just manning a gate for 24/48/72/96 hours (no fun!!). So when you had your fill of "spectatoring" come and have ago at "volunteering" for an hour or so - every hour will make a difference. Please note that all the facilities on the main site are permanent and serviced by site staff. The Gas Powered Shower and Toilet units we are placing in the camping fields are proper "jack leg" units that will be serviced by the contractor or by site staff (honest!). So no one will be asked to "Shovel 'you know what'" or clear blocked drainage pipes as a volunteer! There will no chemical loos onsite unless you bring one! The event is being formally opened by the Mayor of Harrogate on Thursday morning with full civic pomp, regalia and ceremony. The Mayor will also be present on site for the opening of the "Charity Ride" where you get the chance to be driven in the "Citroen of your Dreams" on a out of the site on a short route, and all we would ask is that you make a donation, however small to the mayor's chosen charity, thehttp://www.candlelighters.org.uk/DesktopDefault.aspx Children's Cancer Charity. The Mayor will return to say farewell to you all on Sunday evening and will collect the cheque for the money donated by people who take part in the charity drive. Of course we are seeking volunteer Drivers and cars to participate for a couple of hours on Saturday and Sunday to provide suitable vehicles to meet the demand. Full directions for all methods of transport with Google and Bing Maps can be found here: http://icccr2012.org.uk/new/en/directions.shtml. NOTE: They are multilingual - jut change the "../new/en/..." in your browser to "../new/fr/..." for French or "../new/de/..." for German language versions (be careful as the browser address is case sensitive). Any other information that you feel you need?? I'm not getting involved in most of this. However i saw someone posting about staying at Leeds Premier inn west..this would mean heading north on scothall road and then crossing the ring road. If youre thinking of setting off early/during rush hour to the event on this route then dont. Leeds is the most congested city (or sommat) in europe..or sommat* it was what was said during the Trollybus debacle. Heading out on kirkstal road is a much better idea- theoretically most people will be heading into leeds and youll be heading out. Unless theyre doing roadworks again. Im technically planning a small convoy of 3 cars as i met someone with the best (?) BX GT in the UK..fingers crossed...so if your passing feel free to join in!! If any one else wants any questions or queries about it then i will try to help- i only live 20 mins away and was regualrly going to the showground for the toy fairs up until few years ago. Try to email me or better yet phone otherwise i cant guarantee anything. See you all there; ive got my ticket!! I cant wait to escape the olympics...and public sector workers apparently. Funnily enough my dads going and he's self employed..funny that.. Its almost as if he's not employed in anything to do ith the olympics..
*trying to get you used to northern speak. 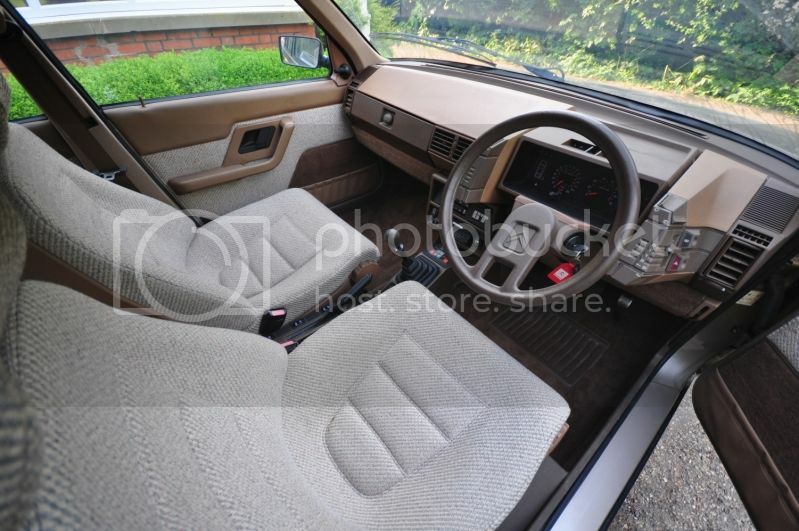 Details please of the BX GT?!! How many miles has it done? Thanks for that Phil! There are a few of us staying there. The Gt is really the best i've heard of apart from Tim's of course!! Its a 40k olympic blue totally original FCSH from down south was stored in a barn by a previous owner, current owner also dry stored it. Totally straight, even the rear quarter lights perfect...cant remember the reg ill check my email to tim about it and get back to you. The owner had noticed me in my TRS in a car park and then we got talking and he said it was better than mine...no offence. I was like its cool, i could only work with what i had as you cant get rear quarter lights etc. So its better than mine...if you've seen my TRS?? If not that wont make sense!! To anyone who is with Footman James insurance and under 21 beware..you may not be able to renew, if you're 21-25 they may increase four fold. If your 30-50s they may increase 20-50%. Beware! Oh if you're staying in central leeds take note: kirkstal road i mentioned above as the main way out of leeds. If you go down here out of leeds then be careful after several car garages on the left theres the turn off for JJB/Morrisons at the traffic lights. Then two lanes go down to 1 and the speed limit is 30 mph. THERE IS A SPEED CAMERA straight after this so if you rush and try to get ahead you'll get a fine. It is fixed and hidden by an overgrown tree just after the road bends. Lots of locals have been caught out be careful it isnt visable. Hows that for local knowledge . On the plus side you'll get to pass Kirkstall abbey, which was on Tv in the past year (bbc 3 frankensteins wedding play?!). Oh theres been "surface dressing" on the roads such as harrogate road and past the airport, however whilst the signs are still up warning of loose chippings...and 20mph there arent any...its been done for weeks but they've forgotten the signs. Needless to say do 20mph and youll get overtaken and maybe then youll get chipped! I think Kirkstal Abbey is still free to go around..hmm..if you have kids the None-Go-by farm, Leeds is great. My favourtie road is this one: B6161 maybe then onto the B6451 past the resovoirs. If you have an activa then the 6161 is a must with some of the tight and hilly bends. I live near the airport and yeadon stoops so anything else post or phone. oh im volunteering monday so ill let you know what the sites like. PhilGreaves wrote: The Gt is really the best i've heard of apart from Tim's of course!! Its a 40k olympic blue totally original FCSH from down south was stored in a barn by a previous owner, current owner also dry stored it. Totally straight, even the rear quarter lights perfect...cant remember the reg ill check my email to tim about it and get back to you. The owner had noticed me in my TRS in a car park and then we got talking and he said it was better than mine...no offence. I was like its cool, i could only work with what i had as you cant get rear quarter lights etc. So its better than mine...if you've seen my TRS?? If not that wont make sense!! Well, it's not mine anyway it's dad's, but his GT is 6,000 Miles from new... If you want to see some pics here's and exterior, and interior... James took a nice pic here too. Sounds nice does the other GT and I look forward to seeing it at the ICCCR, hopefully. 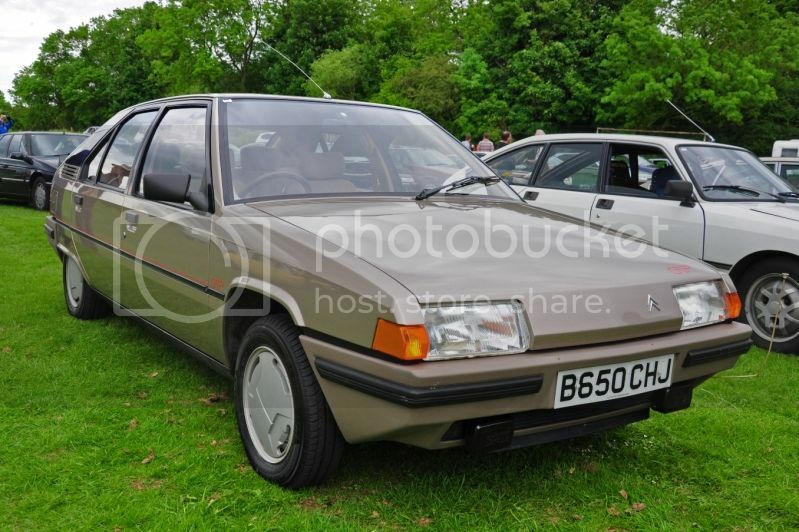 Citroening wrote: Sounds interesting Phil, and I'm going to try to word this not in a "blow my own trumpet" kind of way... Well, it's not mine anyway it's dad's, but his GT is 6,000 Miles from new... If you want to see some pics here's and exterior, and interior... James took a nice pic here too. i'll text him anyway- just to see if he's been put off. Or coming in sommat else. Hoho roll on monday.. The GT dash is nice and hankers to the Series 1 CX GTi Turbo which is always good! The best BX dash has got to be the Digit though, surely!! !